This month, I will be celebrating my one year anniversary from finishing school. This was after 20 straight years of school (from Kindergarten through a Master’s Degree). I took no breaks during this time. While I am sure some people have longer stretches of education (going straight into a doctorate for example), I feel that twenty years is a good chunk of my life dedicated to learning in a formal structure. A lot of people want to know what college teaches you, or what you can learn from college, or what you can get from spending money to go to school. For some people (including those who have graduated), this is a difficult question to answer. This is not the topic that I am going for. Instead, I want to look at a couple of things that college does not teach you. These are things that I have seen or learned through my own life or through hearing from my fellow graduates. 1.) College does not teach you about adulthood. For some reason there seems to be this notion that college is going to magically prepare you for adulthood. Like getting that diploma is going to have prepared you for real life in the real world. This is obviously not true as we see college graduates return home to live off their parents. Part of this reason could be the sudden expenses that come after graduating, but it also may be the lack of real life preparation. College might teach you a bit about forming adult-like relationships,but college does not teach you to be more adult-like yourself. 2.) College does not teach you how to take care of yourself. This goes along with the first point, but I think it is a little bit different. College is almost like living in a fantasy world. Your only real responsibility needs to be getting assignments done before the due date. Even that is not always the case. I can think of plenty of times where I asked a professor for an extension for an assignment and getting it granted. Food is provided for you at any given moment many times in a prepaid program that gets tacked on to your student loans that you do not have to think about until six months after graduation. Bills are postponed. You can basically ride out the 4+ years as a party if you want (and lots of students do). Actually, there is one thing that college probably forces you to do… your own laundry. Cleanliness is another thing college does not teach you. 3.) College does not teach you about adult bills. 4.) College does not teach you how to get a job. That’s right, just because you graduated with great grades and a nice degree does not mean that you are going to get a job right out of college. In reality, you are probably going to spend a few months trying to get your dream job. After all, the entire reason you were willing to go $X0,000 into debt was so that you could get that job so you are not settling for anything less. Wrong. Dead wrong. After a few months (unless you are living with your parents and living off of their paycheck still) real life is going to hit you like a ton of bricks. The world does not care about your piece of paper, your grades, your debt, or really anything about you at all. You are one of 50+ people applying for the same job. You better be able to explain why you are better than those people at the job and you better do it quick. What really ends up happening is you get a job that might be loosely related to the field that you were hoping to get. If you are lucky that job will have the chance of allowing you to move up to the position that you want. According to an article in the Washington Post “Only 27 percent of college grads have a job related to their major.” So, if you graduate and you had 3 roommates, only one of you is statistically going to get a job related to your major. The odds are not in your favor. Clearly, college does not teach you how to get the job that you want. 5.) College does not teach you how to go to college. What does that even mean? It means that no one at any point in my life explained to me the best way to actually go to college. The only real guidance you have was someone telling you to get a degree in something that you enjoy or want to make a career out of (this assumes that at 17 or 18 years old you actually have any idea what you want to do with your life). A lot of college majors are based on completion. If you complete the tasks given to you, and you are at least 80% literate, and you can run adequate google searches, you can get good grades in college. This does not mean that it is going to be easy, sometimes the work load is a lot (varies dramatically by degree). The point is good grades are easy to achieve if you put in the time. If there is one big piece of advice that I can give to students who are about to go into college it is that you should not rely on the college to teach you the degree. 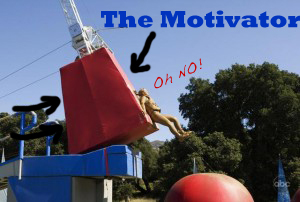 Yup, the college itself is really just the equivalent of the motivator in Wipeout. The worst approach to college is to fail out without a degree. All the debt, no piece of paper with your name on it – at least not one you want to hang on your wall. The best thing to do in college is to learn as much as you can and get as much experience as you can while in college. Remember that part about very little responsibility? Well, it is actually a really great time to make responsibility. The duct tape of college is internships. Paid or unpaid does not matter. It is probably better for your future to take an unpaid summer internship than it is to make a couple thousand dollars at a summer job. These internships are what make your name stand out among the 50. Whatever you do, make sure that you are actually practicing or doing outside research for your major. In your free time, use the degree that you are working on. Either do extra personal study, or get a job or internship that compliments the education that you are getting. This will do wonders when it comes to applying for a job afterward. Employers are not stupid. 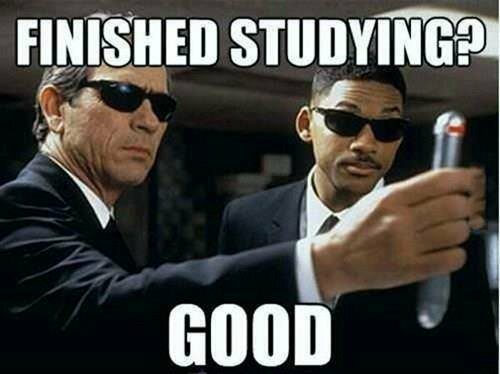 They know what college students do, and they know how much you really remember from your studies. Employers know that this is what really happens to your education. Do something to blow them away like point to actually work in the real world you have done for real people. No one cares that you sat in a classroom and answered some questions correctly. Really, employers know the things that college does not teach you. So there you have it. Five things that college does not teach you. I am sure that there are more things that I forgot to add to the list, but I think this is a good start. One thing I want to add is that I do not think that college is a waste of time. However, I also am not convinced that college is for everyone. There are plenty of good jobs that do not require an education. You should go to college because you want to. However, if you are going to use your time going to college, I think it is good to be educated about some things before you go. Some things need to be taught to college candidates before they go so that they can get the best bang for their buck and be the most prepared for life after graduation. What do you think? Are there other important things that college does not teach you? Is there any other advice that you have acquired that you wish you knew before you started college? Leave a comment below.